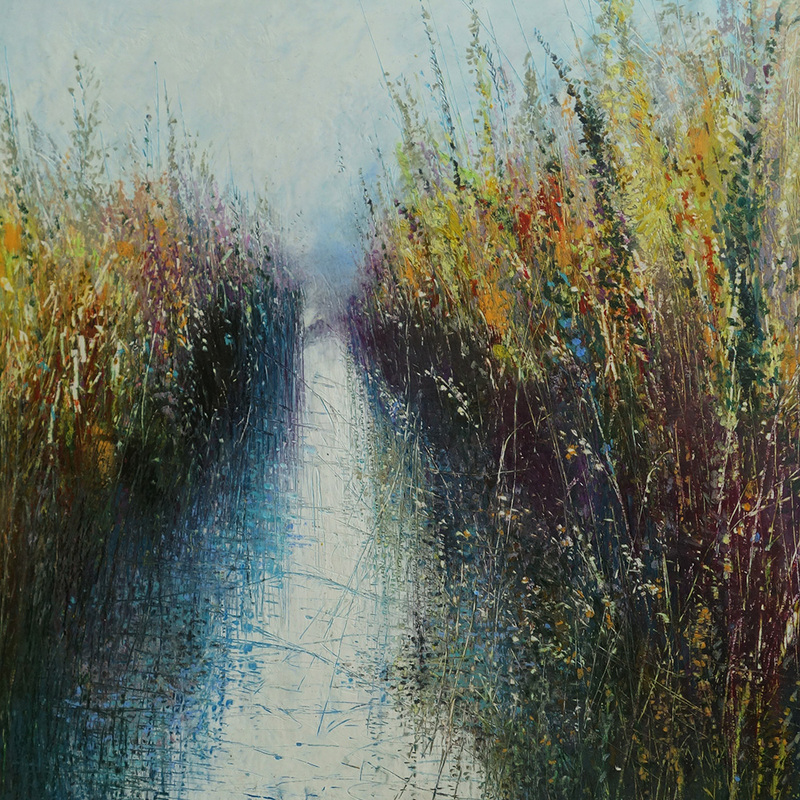 Lyz is an East Anglian landscape Artist specializing in Oil Pastels. She prefers to work with her hands rather than with a brush, mixing the colours on the surface. Lyz then builds up many layers of the medium, creating texture, which is then etched into with a palette knife or pencil. This process and technique is what defines her work and style. Lyz is fascinated with how landscapes seem to act as a store for our emotions and memories. So a picture of a wood or path can trigger strong emotions if it reminds us of a place we have been at a particular time. Lyz sees her role, as a painter, is to try and create landscapes that resonate with the viewer in some way. After a degree in Visual Arts from the University of Lancaster Lyz travelled widely throughout the British Isles. It is the memories of these coasts, woods, fields and dales that shedraws upon in her work. The works illustrated below are intended to give you a taste of what the gallery has to offer, please email us on info@cambridgegallery.co.uk or call us on 01223 324222 to find out which pieces are currently available. Prices range from £280-£350.